"Excellent Opportunity" in this unique business with 3 strong agencies being POST TATTS and SUB NEWS The shop fit for both Tatts and Post are both up to date with single terminal Lotto and 2 terminal Post. This business can be run by a single operator and is located in a high traffic flow area with plenty of parking and a loyal customer base. The rent is $343 per week with a15 year term with options. The growth prospects are excellent with a spacious shop with room to add new lines. This is the first time this business has come on the market in over 13 years. The current owners are looking to retire after running this business successfully and consistently, offering an Adjusted Net income of around $74K. Single operator, excellent hours: 8.45am-5pm Mon-Friday & 9-12 Sat. Good Lease, Good Rent, NO deliveries and an opportunity to extend the services offered. This is a perfect entry level business into the Postal Industry. Looking for a good business with an excellent lifestyle to go with it ? Top of the range Post Office that performs all Post Office services. This is an EIS outlet which allows electronic submissions for ID services allowing for more services in the future, E parcel lodgement point all normal Post Offices services including Passports working with children, I D Checks, Land titles etc There are 289 boxes installed with 24 hour access. A reasonable rent of $308 per week is offered on a long term lease or buy the freehold for $220,000 plus Gst. St Arnaud, is one of the major towns in the Shire of Northern Grampians, it is a quiet town where you know your neighbour, and most of the other inhabitants. 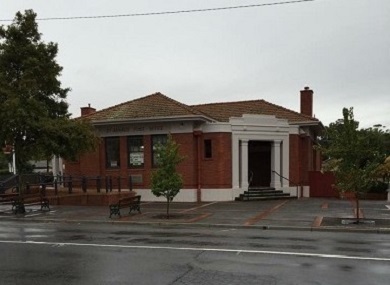 St Arnaud is a sub-regional centre of several other towns. St. Arnaud is 254 kilometers from Melbourne, 1 hr from Bendigo and Horsham and 1.5 hrs from Ballarat. This is an excellent opportunity for a couple can expect an adjusted profit in excess of $165K per year. Highly sought after lifestyle location. This is an excellent 2 terminal business with 338 plus boxes. The shop is beautifully presented, modern and where essential maintaining the character of the building. Easily operated by a couple. Suitable for a single operator who is looking to enjoy the country lifestyle while being only one hour drive from the city. Services include the normal Australia Post products, including Western Union money Transfer, banking for CBA, NAB ANZ and Westpac plus most other finance institutions. There are 297 boxes installed with 24 hour access with room to add further boxes with the rapid expansion of the town. The rent is only $964 per month on an extremely long lease. Trentham is a township located 1 hour north-west of Melbourne between Woodend and Daylesford. Located at the top of the Great Dividing Range, it has become a genuine tourist town with the highlights of being part of the gourmet trail from Daylesford to Kingston to Woodend. It has both refined and relaxed dining, excellent accommodation and some wonderful natural attractions. In addition to the wineries and restaurants the town has a kindergarten, primary school and a bus running to a number of high schools in the neighbouring areas. This is an excellent opportunity for a couple or single operator who can expect excellent profits together with a top lifestyle. Situated in Victoria's Western District, 350 km West of Melbourne, Coleraine is a small, picturesque town supported by wool and beef industries. A unique 5 1/2 day business boasting 2 strong agencies - Post Office / News. The current owners have combined the Newsagency segment of the business recently and as a result, the business is thriving. The building is the original Exchange/Telcom premises and the current Vendors have recently renovated the attached 2 bedroom residence turning it into a very liveable setup. Good shop sales and post commissions make this business an secure investment. Highly profitable with income exceeding $150K P.A. for two working owners. Whilst the week days are full, the business operates 5 days per week. The income is generated from both the shop and some very lucrative parcel/mail runs - all contract. The current owners work long mornings but 1 person has the afternoon off. The shop never requires more than 1 person to operate it. This is a secure and growth business. ASKING PRICE $460,000 PLUS SAV.